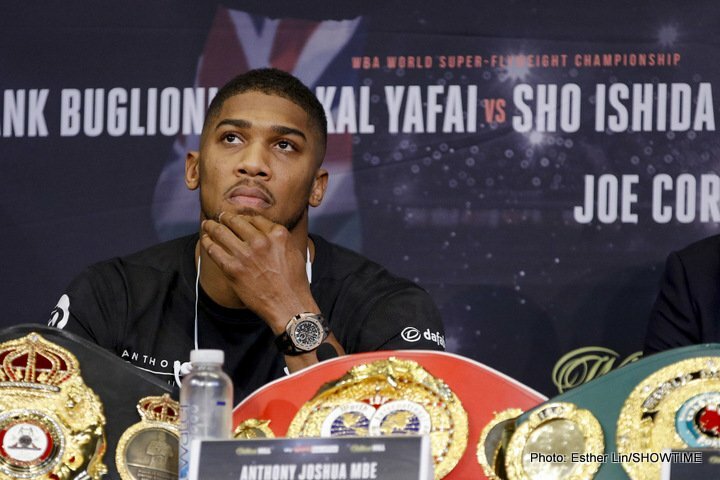 Might we see an Anthony Joshua-Alexander Povetkin fight next year some time? This particular match-up, one that seemed to have virtually no chance of happening a while back, in light of the Russian star’s failed drugs test, could be closer than you may think. So in a nutshell, if Povetkin beats Hammer (who is dangerous and can never be written off) he could be fighting for either the WBO belt or the WBA belt shortly afterwards. Povetkin, like Ortiz, is right back in business; despite his failed test or tests. Joshua-Povetkin in the UK, next summer? How big would this fight be and would YOU pay for it? Can Povetkin beat either Joseph Parker, the WBO champ, or current WBA/IBF boss Joshua? We might find out. Hearn did add, though, how if a unification fight is arranged it would take precedent over a Joshua WBA mandatory. So we could still see either Joshua-Parker or, hopefully, Joshua-Deontay Wilder next year. And these two fights are the ones fight fans really want to see.